Take several dozen celebrity chefs and culinary personalities, from Bobby Flay to Giada De Laurentiis, Guy Fieri and country music star Trisha Yearwood. Add twice the amount of impressive wine, craft beer and artisanal liquor makers. Toss to mix thoroughly and garnish with farm-to-table style dining events and demonstrations. Serve to thousands of guests annually on the last weekend of February. 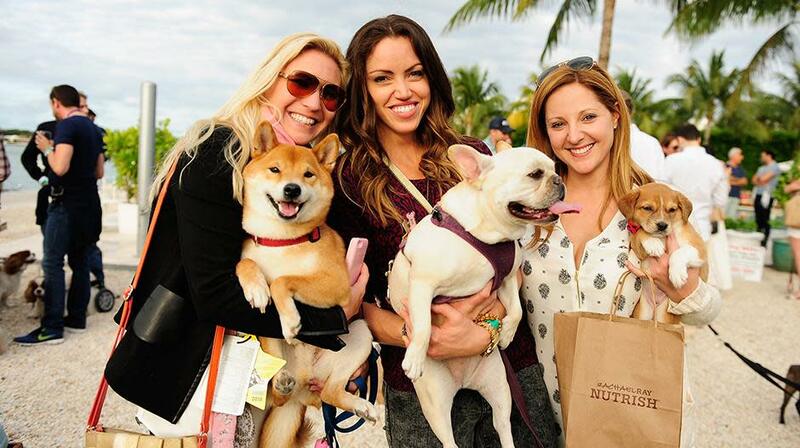 What youve got is the 18th Annual South Beach Wine and Food Festival, which descends on the sands of South Beach February 20-24, 2019. Concocted by Lee Brian Schrager, festival founder and director, who also serves as a vice president at Southern Wine & Spirits, SOBEWFF is one of Miamis most anticipated annual events for both locals and visitors. The festival has established itself as a favorite among the highly regarded chefs and other industry professionals in attendance. The festival is sponsored by the Food Network and the Cooking Channel where much of its top celebrity chef talent comes from. The festivities include demonstrations, tastings, parties, seminars and tribute meals with famed chefs. Its raised more than $24 million for the Chaplin School of Hospitality & Tourism Management at Florida International University with 100 percent of the festivals net proceeds benefiting the school. Part of SOBEWFFs appeal, for both presenters and party-goers, is location, location, location. As in, the enormous tents housing hundreds of chefs and winemakers are literally pitched on the sand. Many of the events take place directly on the beach including the Grand Tasting Village, a smorgasbord of food and wine sampling and seminars held on Friday, Saturday and Sunday during the festival. For winter-weary folks, the gentle waves and sea breezes season the bites and quaffs irresistibly. Some of the most sought after parties on the beach include Thursday nights Italian Bites on the Beach hosted by De Laurentis, Burger Bash hosted by David Burtka and Neil Patrick Harris and a Beachside BBQ hosted by Guy Fieri. Other gatherings take place at some of Miami Beachs swankiest oceanfront hotels, including Best of the Best at the historic Fontainebleau Miami Beach, Chicken Coupe hosted by Chef Andrew Carmellini at W South Beach and Southern Kitchen Brunch hosted by Trisha Yearwood at Loews Miami Beach. Some of the newer events sure to tempt your taste buds include Oyster Bash hosted by Josh Capon of Lure Fishbar at the Loews, Tastes of Puerto Rico hosted by Jose Andres at SLS South Beach, Tacos After Dark hosted by Michael Symon at the Loews and a Wine and Cheese Happy Hour hosted by Martha Stewart at No. 3 Social Roof Bar & Lounge in Wynwood. There are also new Master Classes including a pasta-making session with local Chef Michael Pirolo and a cookie-making class with Cindy Kruse. SOBEWFF promises to be a delicious weekend no matter what youre craving, from tastings to dinners and parties hosted by local luminaries and national stars. Start planning your culinary weekend in Miami now.